Home / Culture / Books / ‘Game of Thrones’: Will Bran Bring Destruction to Westeros? ‘Game of Thrones’: Will Bran Bring Destruction to Westeros? Spoilers through Game of Thrones 605: “The Door” and some spoilers for the fifth book of the series, A Dance with Dragons. 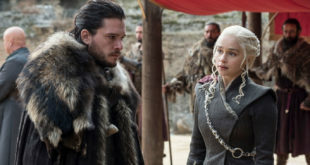 There’s a lot to discuss in this week’s episode of Game of Thrones, “The Door”, and we’ll get to that in weekly recap of the episode, but for now, I want to talk about the implications of Bran’s rash behavior in tonight’s episode and how it could potentially lead to the end of Westeros. We’ve seen a lot of Bran this season. Most of his time has been spent traveling through time with the weirdwood trees and Bloodraven as his guide. The scenes Bran has visited have all been from his family’s history: a trip to Winterfell with his father, aunt, and uncle all as children, and then later, at the Tower of Joy where Ned Stark and Howland Reed fought off three members of the Kingsguard to save Lyanna Stark. We don’t know the resolution to either scene, only that there’s something of importance in the tower, Ned is sent to the Vale as a ward, and Hodor was once named Wylis, a stableboy who could talk. Bran revels in these trips down history lane. As a young boy, he dreamed of being a knight, a hero to defend Winterfell and his family. When he is pushed from the Winterfell tower by Jaime Lannister, those hopes are dashed, and he’s left as a cripple at the mercy and good will of those around him. Only with the help of Hodor, Jojen, and Meera Reed, is he even able to make it to the Land of Always Winter to answer the call of Bloodraven and begin his training as a greenseer, but more importantly for Bran, he’s able to walk again in these visions. He’s able to be whole and feel important, more than just a burden for others. Greensight is an incredibly rare ability in Westeros, even more so than warging. With the help of the weirwoods, greenseers have the ability to see the future, as well as the past. Bloodraven has acted as historian, cataloging events throughout Westeros in the hopes of learning from the past. It is through Bloodraven that we learn the origin of the White Walkers, the biggest threat the world has ever seen. Thousands of years ago, the First Men arrived in Westeros and the Children of the Forest saw the men as a threat, so they used one of those First Men, bound him to a weirwood tree, and turned him into a white walker, meant to protect the Children from the First Men. As things are wont to do, disaster struck and the Children lost control of the white walkers as they grew into the Terminators of Westeros, ready to annihilate all of humanity, Children of the Forest included. 8,000 years before the main events of the series, the Battle for the Dawn occurred. The Children and First Men allied, also creating the Night’s Watch, to end the Long Night and the reign of the white walkers who had risen against their creators and journeyed south. 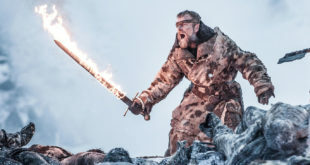 In this “Age of Heroes”, the First Men learned that the white walkers could be killed through the use of dragonglass (obsidian) and Brandon the Builder, with the help of the Children’s magic, built the wall that would keep the white walkers out of Westeros, and the Night’s Watch was assigned to guard the realms of men. It’s important to know the history of the world because as the white walkers rise to power again, the knowledge of how the First Men and Children of the Forest defeated them the first time will be invaluable. They’ve been held at bay by the magic the Children of the Forest used on Bloodraven’s cave as well as the Wall, so as to keep themselves and the rest of Westeros safe from attack. Bran doesn’t want to be a cripple forever chained to a tree. He wants to be free to explore the world, past and present as he pleases. He feels he’s been tied down long enough and once he senses freedom, he latches on to it, caution be damned. When he learns the truth of the white walkers, that Leaf and the other Children of the Forest were responsible for their creation, he lashes out in anger. Instead of asking more questions and getting more rules in return, Bran takes the roots of the weirdwood tree into his own hands, literally. 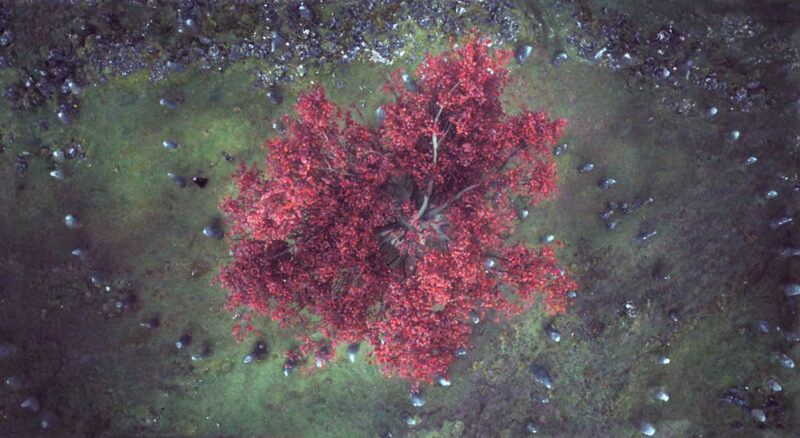 Without Bloodraven’s approval, he journey’s into the sacred tree’s memories, only this time it seems he’s gone into the present, and the Night’s King sees him and touches him, marking him with his magic, voiding the warranty of the magic the Children put in place to protect them. This act allows the white walkers and their wights entrance into Bloodraven’s cave. The ensuing battle leads to the death of all of the remaining Children of the Forest, Summer, Bloodraven, and Hodor, with Bran and Meera barely escaping with their lives. In one fell swoop Bran has killed the man who can show him important pieces of Westeros history that could save its people as well as wiped out the entire race whose magic could possibly defend against the invaders. Why the white walkers want to wipe out humanity and head south is still a mystery. They could be a society whose livelihood was thrown off course by the “heating up” of the world with the birth of dragons. They could be following a robotic-like protocol. They could be doing what humanity has done in the past and wiping out the “lesser” species. It’s unsure. But the fact of the matter is: Bran has escaped Bloodraven’s cave with a beacon on his arm, a mark that disables the Children’s protective magic and is about to lead the white walkers and its army through the Wall into Westeros uninhibited. Bran the Builder made the wall 8,000 years ago and now we have Bran the Destroyer. What do you think about this revelation that Bran could bring destruction to Westeros? Let me know in the comments! He’s going to tear down the wall.